Quite surprisingly, unlike other iPhone games by EA, Reckless Racing is not a direct port of any previous games. Meaning, it’s an original game debuting for the first time on the iPhone. This is good because you don’t have any benchmark to compare the game with. You don’t expect too much. The good news is, whether you have high hopes for this game or not, it delivers the goodies that a racing game should deliver to us iPhone racing game fans. Foremost of these goodies is the game graphics. Reckless Racing is one of the best-looking games for the iPhone to date. Despite the size of the iPhone screen, EA made full use the iPhone’s display prowess to create a vividly rendered racing environment. From the splash of the water, to the dust that you create when sliding through corners – EA made sure that these details are well taken care of. Next – the gameplay. The game has single and multiplayer modes. The single player mode has three sub-modes – Dirt Rally, Hot Lap and Delivery. Dirt Rally is your standard arcade racing where you compete against AI opponents over a set number of laps. Hot Lap on the other hand is your usual time racing mode where you compete against the clock. Delivery Mode is something different. In this game mode you must collect goods and deliver them on time or earlier if you are fast enough. The other type of game mode is multiplayer. Here you can play against your friends online. You and your friends can play Dirt Rally and Hot Lap on multiplayer mode. While this is a great addition to the depth of the game, multiplayer mode lacks substance and rewards to keep you playing it. Well, except for the fact that you get to compete against your friends. Hopefully, future updates of this game will focus on developing the multiplayer mode further. Of course, we all know that controls can make or break an otherwise great game with great gameplay. Fortunately for Reckless Racing, it has successfully conquered the controls department with flying colors. 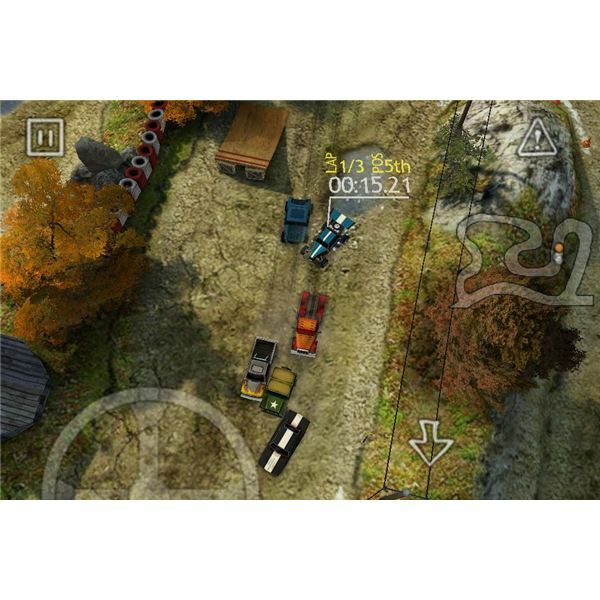 In steering your car, the game offers five options – standard, tank, tilt, half-wheel, and full wheel. In standard, you use virtual buttons to accelerate, reverse, turn right and left. In Tank, your car auto-accelerates and you control only the right or left direction. Tilt on the other hand makes use of the iPhone’s accelerometer to control the left and right direction of your car. Half-wheel and Full-wheel give you the steering wheel on the right side of the screen and the accelerate and reverse button on the right. The key here is to try each of these controls to find out which one suits your gaming skills best. In the graphics department like we said, this game excels with flying colors. The racing tracks, though small, are very well conceptualized and beautifully rendered. Pay attention to the minute details of the different items in the racing tracks as you won’t believe how thorough EA was when developing this game. In the sound department, the game provides a decent soundtrack when racing. But it is repetitive to the point that it might annoy you so you’d be better off with the background music turned off. There have been several new iPhone games lately that are worth every penny that you’ll spend to get them. Make sure to include Reckless Racing on that list. It’s one of the best racing games, as well as one of the best games released for the iPhone this year. It would be a big loss if you don’t play this game, especially if you are a big racing game fan. 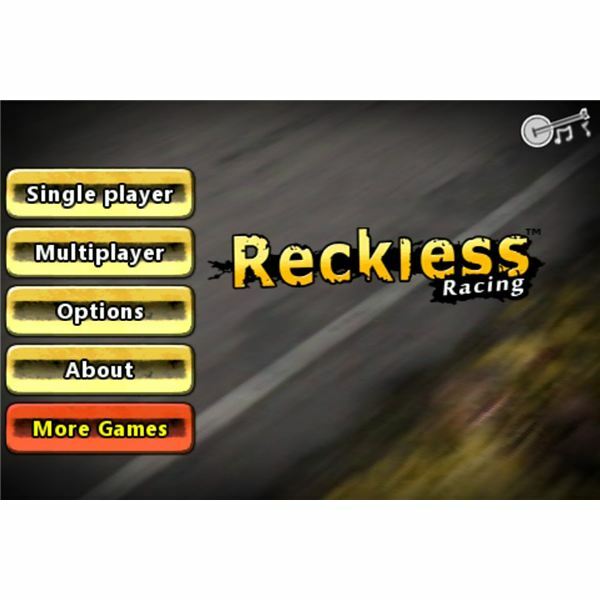 Reckless Racing is available now from the App Store for $2.99.